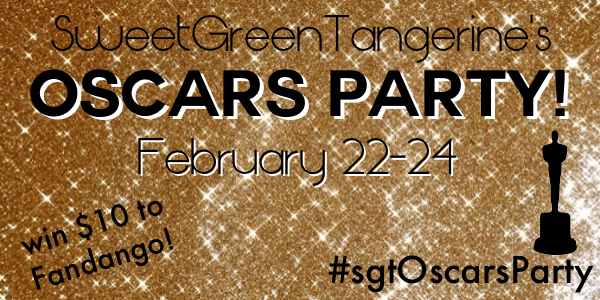 First...did you see I'm hosting a virtual Oscars party? To see how you can join, click the shiny gold button on my sidebar. My friend, Mary called me one day and invited me to see this. We chose to go to the drive-in and that was a very smart choice. There were times that we chickened out and turned the sound off because the violence was too much. Let me start by saying this...I appreciate Tarantino for the director and artist that he is. You either love him or hate it. Django Unchained was this history of plantation slavery...as seen through Quentin Tarantino's eyes. It wasn't historically accurate, but who cares. It was unpredictable, funny, and action-packed. The usual. And like most other Q.T. films, I enjoyed the first half more than the second. As for acting, I have no doubt, that Supporting Actor Cristoph Waltz should receive the Oscar hands-down. He was phenomenal. To be honest, when this preview first came out, I thought two things. 1. Typical rom-com. I'll wait until it's on Netflix and 2. Isn't Bradley Cooper too old for Katniss, I mean Jennifer Lawrence? But then, I remembered...Jennifer Lawrence got her start in indie films. In fact, she almost turned down HG because she wanted to stick to indie films and be a serious actress (and she's 22). Then, I heard rave review after rave review for SLP, so I chose to finally go and see it. And here's what I think. Silver Linings Playbook is the cure for the typical rom-com. You think it's a typical story of crazy boy meets crazy girl, but as you're watching it, cringing and fighting goosebumps, you realize, it is so much more. You know what it is? It's Good Will Hunting of the next gen. Every piece of acting in this movie was magnificent. My personal favorite was the mother, Jacki Weaver. She's got her work cut out for her against Anne Hathaway, but I'm pulling for her. Also, Bradley Cooper has some stiff competition with Hugh Jackman and DDL, but I think he did a great job in this movie. I hope to see him in more serious roles. And Jennifer Lawrence reminds us that she is indeed a serious actress, and I would love to see her take home the little gold man. I had a free night so I went to see Life of Pi. I don't know what i expected since I had never read the book, and aside from the picture of a man in a canoe with a tiger, I had no clue what it was about. Here's what I think. The story is amazing. The impression and intention of the story, mainly one of faith and belief, hail from the novel and I don't know if they have the same effect in a film, BUT I will say that visually, this movie was out of this world. Here, let me just throw a bunch of adjectives at you...exhilarating, intense, profound, gorgeous, magical, captivating, magnificent, spectacular, epic. On a personal level, this film touched me in a way that I didn't expect. It's one of those stories that will keep you reeling. I'm so, so glad that I saw it. Go see it. I really believe Ang Lee should win for Best Director. I cannot even begin to wrap my head around how he made this movie real. It was crazy. There's no way I'm going to be able to see all the nominees before Sunday - so little time, so many (long!) movies - but I love that you're trying! I loved the book Life of Pi but I was so apprehensive about the movie. It sounds like it is worth checking out! I haven't seen Django Unchained although I want to because I LOVE Leonardo Dicaprio but I have seen Silver Linings Playbook and I really really enjoyed it. When I saw the trailer months ago(I'm addicted to movie trailers) I knew I was going to like this movie. I also want to see Life of Pi. I'm just going to have to wait until they are all rentable. Coming to you from the GFC Blog Hop. Silver Linings Playlist was excellent. I saw your guest post about YA books. Totally going to read The Maze Runner now. I loved Silver Linings Playbook and I hope that it cleans up this year. And I had no idea that Bradley Cooper was 38!